Cannabis is a plant and it simply loves growing in soil. High quality soil will make sure that your cannabis plants thrive and grow healthy, making your tasks as a grower much easier than any other methods. Regardless of growing this plant indoor and outdoor, providing it the soil it needs will ensure a beautiful and health cannabis culture. The best soil for cannabis is therefore something what you should strive for. You may have heard about hydroponics and how fast the plants grow this way, but do have in mind that this growing system requires considerable investments before you actually get some results, growing cannabis in soil being much cheaper than this. Believe it or not, many long-time cannabis growers stick to this method, because it is cost efficient and always delivers great looking plants. 2 What kind of Soil to use? 8 Does it have to be super soil? For instance, if the weather outside allows growing cannabis without a problem, growing the plants in soil will make sure that the weather will not affect them. Storms and high winds may occur at any times, but having your plants grow in soil will mean that they have the proper environment to develop strong roots, not risking to be washed or blown away by bad weather. Also, soil makes sure that the cannabis plant has sufficient water, as it easily becomes impregnated with water each time you water the plant, carrying it to the level of the roots rather fast. If you opt for a soil of a higher quality, it will be able to retain water for a longer period, which means that you won’t have to water the plant so often, as it will have sufficient to thrive for several days in a row. This kind of soil will not allow the water to evaporate too quickly, so that the plant’s roots will be able to absorb a bigger quantity of water for healthy growth. What kind of Soil to use? Should you care what soil you take for your cannabis plants? Well, yes, you should, because poor quality soil will not deliver the results you’re looking to obtain. 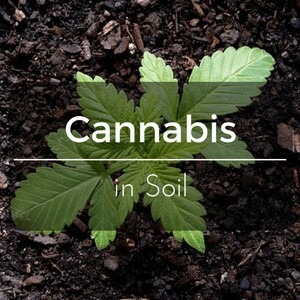 Although you may not see a difference between the plant soils you may find on the market, except for the price, it counts a lot what kind of soil you choose for growing your cannabis plants. How to tell which soil type is suitable? A high quality soil will not change its texture, regardless if it is wet or dry. It should have a loose texture, but being dense at the same time, to allow roots to enjoy a good grip to secure the plant. It should not become rock solid, especially in the absence of water, not allowing air to get through or roots to grow properly. Most certainly your plants will not be that prolific if they are planted in a poor quality soil, so even if this method does not involve high costs, do opt for a soil of a higher quality if you want to enjoy a great yield. From germination, to transplanting, and growing, your cannabis plant needs a great soil, which is the support of its natural processes, ensuring that you will enjoy beautiful mature plants in the end. If you have the cannabis seeds and ready to get started, the best way to do it is by buying peat plugs. They are perfect for allowing your seeds to germinate and easy to work with when the plants are big enough to be transplanted. The peat plugs have a cylindrical shape and can be found in any shop with gardening supplies, being used for the germination of a wide variety of plant seeds. Sometimes they even come with extras, like a special tray and terrarium top, to ensure heat and light that will favor your seeds’ germination. These are not hard to find either, being available both online and in brick-and-mortar garden stores. You will have to plant one seed in each peat plug, because they are not large enough to accommodate more. Make a small hole in the middle, of an half of inch deep, by using a pen or a similar item. Place the seed inside the hole and place the plug on the special tray. Do the same with all your remaining plugs, according to how large you want your cannabis culture to be. Once the seeds are planted, you will have to water each plug with about a half of inch of water. You need to know one thing about peat plugs and that is the fact that they lose water fast through evaporation, so you’ll need to keep an eye on them so that they don’t get too dry. 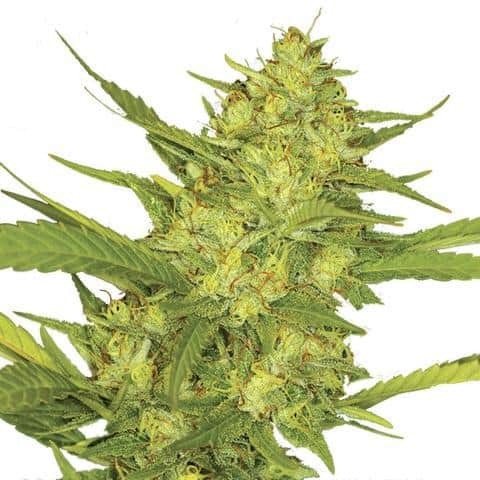 The seeds need a warm and moist area to germinate, so it is your duty to make sure that they have sufficient water to grow the small cannabis plant. Still, if you don’t find peat plugs anywhere, don’t panic, because you can always use potting soil instead. You will have to do some extra work with potting soil, but the results are the same. Use a seedling tray or other type of small containers, in which you will put some potting soil, compress it a little, and then continue with making the hole we talked earlier and planting your seed. Still, do have in mind that many cannabis growers think that potting soil is too thick and hard for a cannabis plant, so they usually add some sand and local soil to make it more loose. You can do this operation yourself, by adding half potting soil and half other materials, like sand, local soil, leaf mulch, dried peat moss, or grass mulch. Doing so will mean that you will have more soil to enjoy at a smaller price and you will avoid the formation of clumps, which may not allow cannabis roots to grow as they please. Also, in case you have a farm or live near one, you may not have to buy any soil at all, because you can easily make your own for free. Animal manure is a great fertilizer, no matter how crazy this may sound, and will provide your plants with all the nutrients they need. Any manure works well, cows or pigs manure, and it is even better if it aged for more than one year. To the manure, you will have to add 50% sand, and your plants will simply thrive through their first development stages. The reason you should be so careful with the soil you use for growing your cannabis is that it will continuously affect your plant, from start to end. You may even have to change the soil during the development of your plants, if you notice that the existing soil is not right anymore. While it is easy to do this for plants that are grown indoors, outdoors this operation turns to be trickier. For this, you will have to make sure that the soil you use is rich and that it is prepared before you use it for your culture. If the soil in your area is not adequate for growing cannabis, you can always improve its quality by altering its composition. The best soils for growing cannabis plants is called “super soil” and even if it sounds fancy, you can obtain this type of soil yourself. All you have to do is add compost to the soil you want to utilize to make it richer in nutrients for your plants. When using “super soil”, you won’t have to add any more fertilizers, because the compost will provide natural and organic nutrients to your plants. So just add water and relax. But, you’ll have to be ready to invest time and effort in this process. You’ll have to do some research first if you want to do this right. Also, you’ll have to know that it will take about a week to mix soil with other components until the final soil is ready, having the same composition and color. Thus, this solution may be more suitable for larger cannabis cultures that are difficult to transplant and fertilize all the time. Does it have to be super soil? If you want to obtain organic soil for your cannabis plant, you should know that it doesn’t have to be that complicated, as in the case of “super soil”. It also isn’t that time, money, and space consuming either. You can easily mix organic soil with organic nutrients, which can be found almost anywhere, and obtain the quantity of organic soil you need. It really doesn’t have to be rocket science, but it will require some time and effort from your side, if you want to enjoy beautiful plants. Of course, it depends very much on the culture you want to achieve, but, if you haven’t planted cannabis before, you should start small and learn what you have to do on the way. Start with a few plants and, once you get the hang of it, you can expand and develop and may even get to the point of preparing “super soil”. It all depends on your vision, because concerning growing cannabis in soil, there are solutions for every size and type of cannabis culture. Cannabis is a plant and it simply loves growing in soil. High quality soil will make sure that your cannabis plants thrive and grow healthy, making your tasks as a grower much easier than any other methods. Regardless of growing this plant indoor and outdoor, providing it the soil it needs will ensure a beautiful and health cannabis culture.